What if we could offer our kids an education that inspired them to wonder? What if we could stop teaching them how to think and what to learn and instead approach teaching like good seasoning– Where we give them just enough to whet their appetite and watch the spark fan into flame? This would be an education that was lasting and this is the premise of Master Books amazing 9 book set, the Wonders of Creation. Quite a few of them are levelled, which means they are designed to be used exactly how I described above. Level 1 is more of an introduction to the topic, with information and text that is a bit easier to understood. Level 2 is written with more advanced vocabulary and goes a little deeper. Level 3 is the highest skill level, they would read through all the sections in the book. 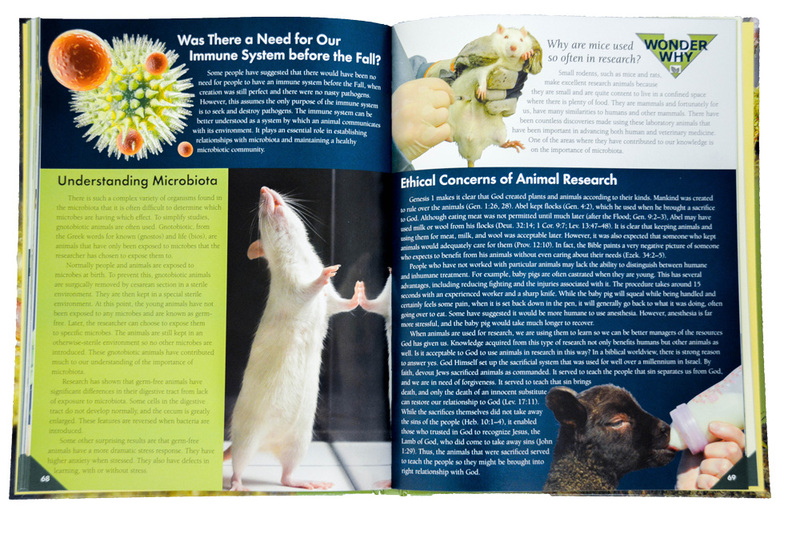 The flexibility of resource books is that you can use them however it suits your family. You can use them as something to read together and wonder about. You can base whole unit studies around them! I prefer to use them without any structure. The magic happens when I put these beautiful books on the bookshelf and let it be. Without fail, my kids pull them out without any prompting from me and start coming to me with questions or telling me about some new thing they learned. I love the Montessori philosophy of “strewing” whereby you strew quality learning resources throughout your house and allow your kids to stumble upon them in their own time as it interests them. This means that they are reading to learn, not to make mom happy, not to check off some arbitrary list, but for themselves. They remember this form of learning and that is my primary goal of homeschooling! All of the books from Master Books are quality. Not only in content, text, curriculum and photographs, but in the printed quality. The paper is thick and creamy, the covers are hard and durable. These books are made to last and the content gives you a way to make that happen! With the levelled reading options, children from grade 4 all the way to adult can use this series! I love the color-coded levelled reading sections. It makes it really easy to show my kids what they will be able to read and understand most effectively with just a quick glance at the page. I love the pictures, they just pull you in! Every single page is full of beautiful, engaging photographs that help you visualize exactly what you are learning about. I love the realistic uses of these books. The mineral book is one of our favorites being here on the island. We love taking our Mineral Book with us while we are rock hounding or searching for treasures on the beach. We use the mineral identification guide at the back to help us identify the different rocks and minerals that we find. 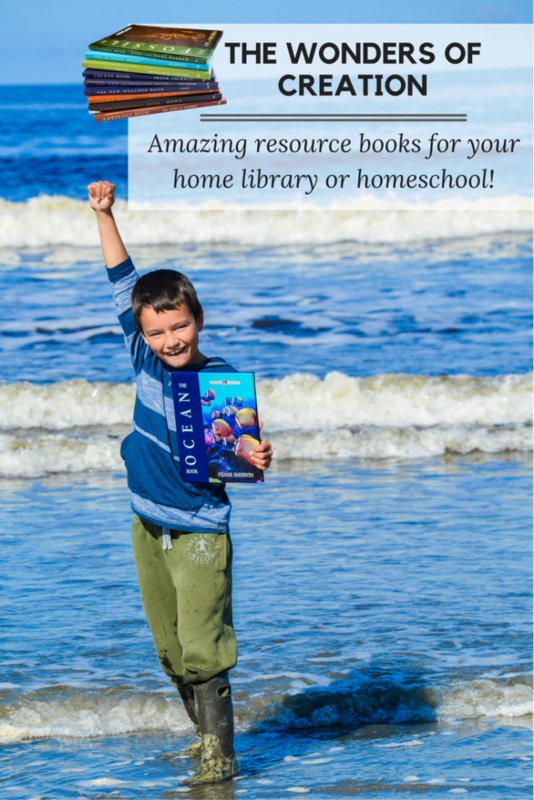 We loved the chapter on building our own mineral collection and have been working on starting one up in our home. If you aren’t familiar with Master Books, you may not know about their faith grower guarantee. The master teacher, creator and author of our world is woven into every book they publish and the Wonders of Creation doesn’t disappoint. Even in some of the books that seem to be more unlikely, you will find connections to Biblical references, history, or how science helps prove that the Bible is true. I love this about their books! It is what makes it so much fun to read not only for our kids, but for my husband and I! We are all seeing God’s hand in the world around us so much more! The Wonders of Creation series is available directly from the publisher at Masterbooks.com. They are available separately or together as a complete series for a HUGE discount! Normally retailing at $148.91, they are available for only $99.99! PLUS use my exclusive coupon code REBECCASFRIEND for an additional discount. AND (I know, the good news just doesn’t stop coming!) they have free shipping in the US on orders over $75! If you are looking to build your homeschool or home library, snag this set by clicking here or on the image below! I know you are going to love it as much as we do! How do you inspire a sense of wonder in your home? Comment below! This is a sponsored post, which means I received either monetary compensation or free product in exchange for the review. I only work with companies that I love and use personally and all thoughts and opinions are my own. For more info, check out my disclosure policy. Wanting to know if this series includes pre-planned testing/reviews. Want to use a an earth science class for my upcoming 9th grader/ Thanks!